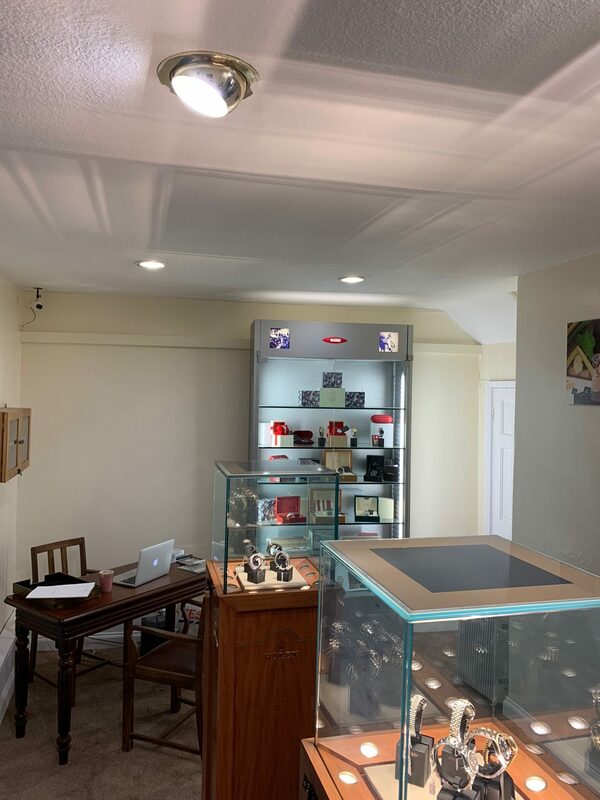 With our boutique showroom located at the rear of our sister jewellery store, we can showcase our store stock with elegance and offer specialist treatment to customers. 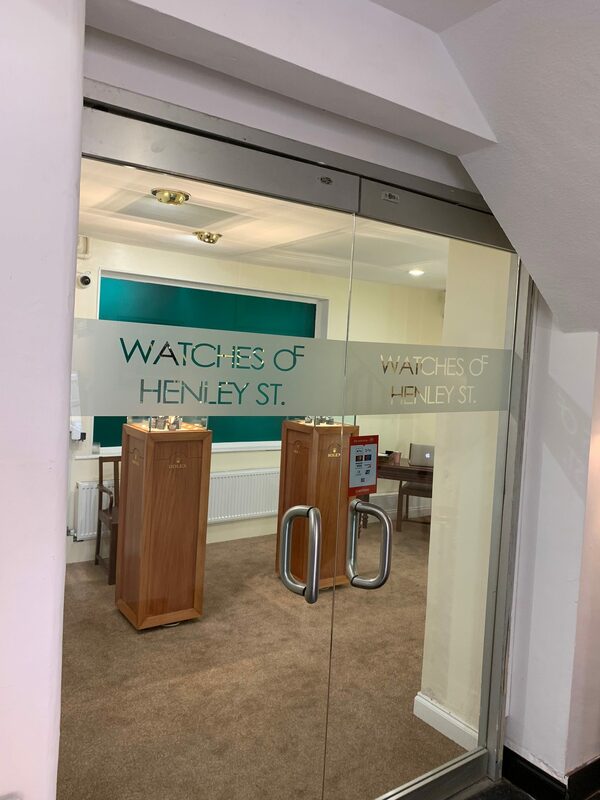 Arrange an appointment to view a watch from our online store or arrange to view a selection of specific watches that you desire shipped from our warehouse. No customer ever forgets our white glove experience, especially the complimentary champagne. 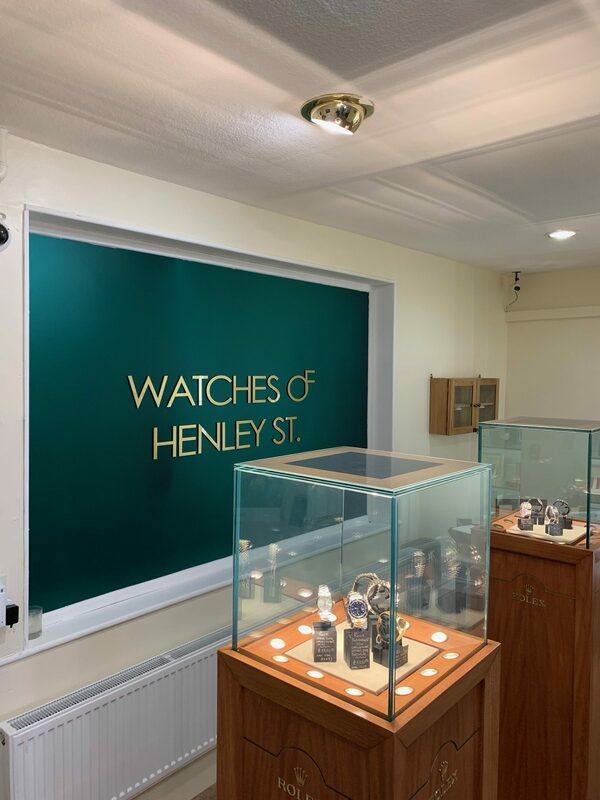 Arrange to view our watches specifically by appointment or visit when you can. 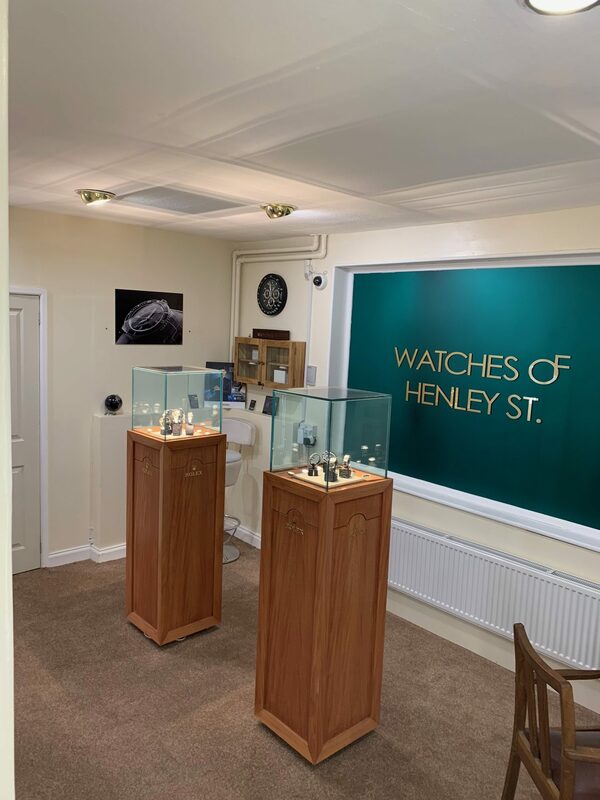 Most of our watches are securely held in our premises but some, especially when sourcing a watch for you, will need to have an appointment arranged to be viewed. Our premises are located on the Henley Street pedestrian area opposite Shakespeare’s birthplace(house). Parking is recommended outside of the main streets to avoid traffic, but as we do often, hold spaces for you in a nearby car park 50m’s away for clients and loyal customers. Our showroom expands month on month with new displays and additions aiding our goal to make your experience the best as possible.